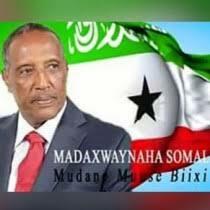 - Somalis living in Somaliland are rightly proud of their track record on democracy over the last couple of decades. This last week has seen yet another significant milestone, with local elections passing off peacefully and with a high turnout. International observers, including representatives from Progressio (http://www.progressio.org.uk/content/somaliland ) and Somaliland Focus (http://www.somalilandfocus.org.uk/ ) have been favourably impressed by the degree of democratic engagement and minimal irregularities. Somaliland’s continuing spirit of calm, is just one of a number of reasons why economic activity has increased apace in recent years. The country’s strategic location coupled a general improvement in the international climate locally has helped foster a greater appreciation of Somaliland’s potential. Diaspora communities in the UK, USA, the Netherlands and Scandinavia, as well as Australia and New Zealand have maintained strong ties and there is increasing evidence of Somalis being eager to return to play a constructive role. Private enterprise is fast proving to be the dynamo of the economy. Mahamed Liban, the founder of Guul Group (http://www.guulgroup.com/) is typical of the bright, articulate members of the Somali Diaspora who are returning in droves, eager to share their knowledge and skills. Liban, one of an increasing number of British Somali entrepreneurs, is upbeat about the prospects for his Hargeisa-based company; “We have already been approached by a number of foreign investors, namely from Australia and the UK and Guul Group is well placed to facilitate commercial activity by drawing up on market insight, local knowledge and contacts. The company provides investment opportunities with the aim of attracting and working with foreign investors and strategic alliance partners on projects in Somaliland and potentially other Horn of Africa markets. Liban is candid when talking about the challenges new businesses face; “…many returnees and foreigners have a distinct lack of local knowledge and market insight. It is important to remember that what might work or sell in Europe or the US will not necessarily work or sell here. ” The fact that Somalis are happy to embrace new technology is an added draw and this will be further encouraged by the fact that the country is currently being connected to fibre optic cables. Economic development is well under way and there is increasing body of evidence to suggest that many foreign, Diaspora and local investors are going to achieve that thing they are all seeking, namely ‘Guul’ (meaning ‘success’ in Somali).